Winter is approaching and will be here before you know it, so logically you will want to make sure your central heating boiler is in tip-top condition, and if not, replace it. So, if you find yourself in the position of having to buy a new boiler, here’s a few top tips. To begin with, most new boilers are condensing boilers which means that they re-use heat which is normally wasted and that’s why they are one of the most efficient types of boiler you can buy. This is not only good for your bank balance, it is also good for the environment too. Modern boilers must be rated A or B under the SEDBUK labelling scheme. Combination boilers (Combi boilers) supply heat and hot water when you want it and so are usually best for flats and small homes because they don’t require a storage tank. Heat-only boilers however supply heat directly to radiators but need to be connected to a hot water storage system and for this reason they take up a lot of space. 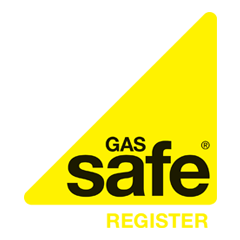 Whichever type you choose however, remember that installation and maintenance has to be carried out by Gas Safe registered engineer. It is always best to approach several installers in your area and get a number of quotes before you decide. Some boilers use oil rather than gas and they tend to be installed in homes built in rural areas that are away from mains gas. The problem is however is that oil boilers tend to cost twice as much as those using mains gas. The cost goes up even more if you have a boiler fuelled by LPG. Some of the best brands to go for when choosing a boiler include Worcester-Bosch, Baxi and Vaillant but the main thing is to choose a brand that has a good reputation. Worcester-Bosch combi boilers for example are popular because they tend to be robust and reliable while also being highly efficient. In order to keep as much heat inside as possible, close the curtains at sunset and close windows and doors when the heating is on. Open windows to air rooms when the sun is on them. Also if you turn down the thermostat on your heating you could save on your heating bills by about 10%. It’s a good idea also to turn off radiators in rooms that are not being used very often but make sure you check for signs of damp or condensation if you do so. Make sure the heat from radiators isn’t blocked by furniture, draped curtains and so on. Finally, it is also worth bearing in mind that you can always ask for a visit from a consultant if you’re confused about which boiler to buy. Both npower and British Gas offer a consultancy service and its certainly worth considering if you want some help to make the best choice.